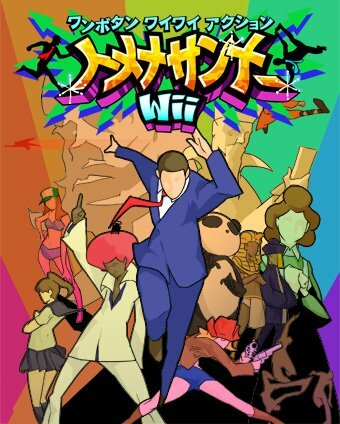 Welcome to the official discussion thread for Tomena Sanner on the Wii! To start, please add this game to your log, add it to your collection (if applicable), and (when you are ready) rate it using the link above! Lately I've been playing this game a bit; I've always had my eye on this WiiWare title, and having played it I must say that the game is a bit... lackluster? 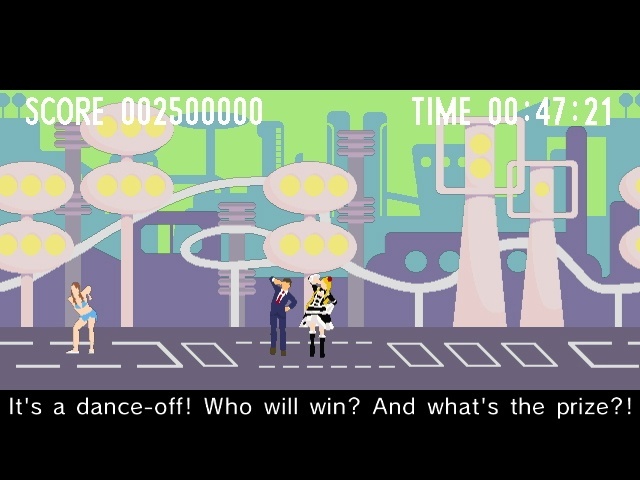 I guess I've been spoiled by Gaijin's Runner games, but even with the wacky premise and random situations the hero overcomes as he runs toward the goal and avoids all the obstacles, I can't help but think this game could have been better. What do you guys think of this game? Based on the ratings, it seems most of you agree with me (except Guillaume; his 9.0 is the clear outlier). In case anyone hasn't heard of or played this game, your main character is always running toward the right (like BIT.TRIP Runner) and using only one button and good timing, you have to avoid obstacles and get high scores. I'm not sure the game mechanic where the game keeps speeding up works all that great, since it pushes your character so much to the right side of the screen that you can't even see what's coming next and you simply bump into the next obstacle. Also, the timing throws me off for pressing the button at the right time and it's something I can't pull off well consistently. There really aren't any clues except to press A just before your dude runs into the next obstacle. There's also all this random stuff floating all over the place, like coins and modifier balloons, so I'm confused about when I should be pressing the button to jump toward them vs. focusing on pressing A to overcome the next obstacle. When the dude is jumping into the air, I can't see what's on the ground ready to get in my way. There's simply not enough time to react! I haven't tried VS mode yet... So I can't judge the whole game at this point. At least the game has online rankings for your best scores. So far I've completed all the regular levels (and played some of the endless mode too), but the Turbo mode is just ridiculous. Yeah I got this expecting a neat RUNNER type game, but it is kind of weak. Even the "hilarious" factor is better on paper than in the game, it's just not as funny as it sounded like it would be.